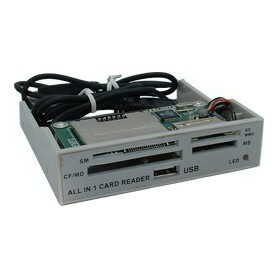 Internal ALL in 1 USB Cardreader/Cardwriter build in Panel for a 3,5" shaft (floppy-drive). Connection via Internal usb A port. 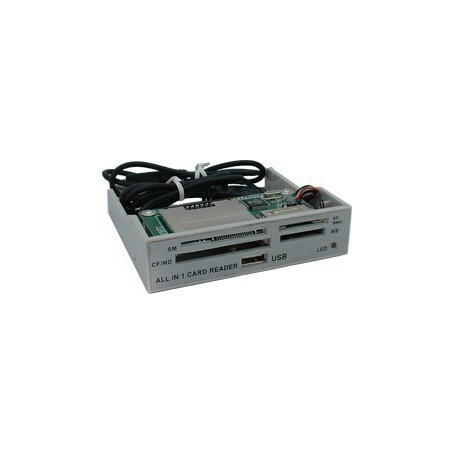 To connect to an internal usb port from an USB PCI CARD for example. There is also a USB2.0 port on this panel. To connect internally as an USB extensioncable with an USB A connection.